We are the UK distributors of Norav Medical. Norav is the leading company in the fields of PC-ECG and ECG management systems and related non-invasive cardiac devices. 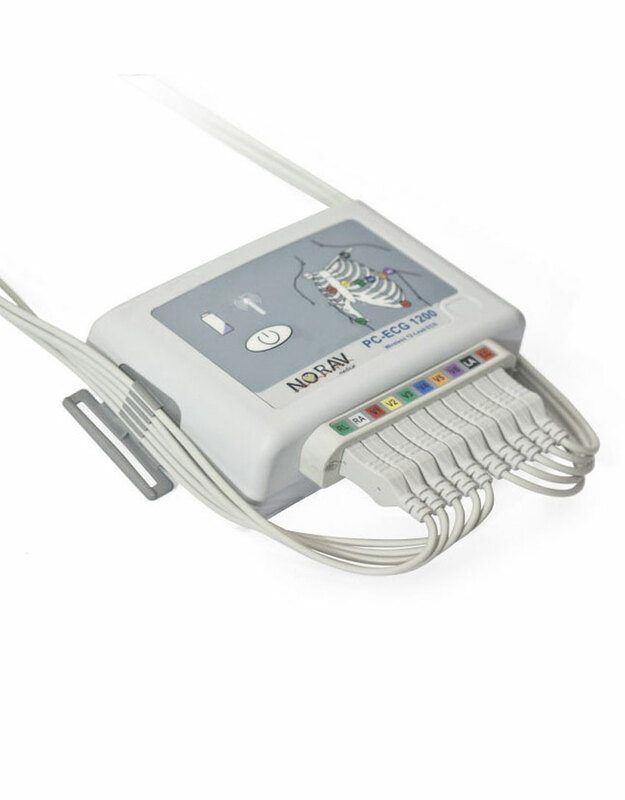 The flexibility offered by Norav's PC-based digital wireless cardiac stress test system is unparalleled. The systems exercise test ECG software meets the specific needs for each user, allowing individuals to control how diagnostic reports are acquired, displayed, measured and printed, according to their particular needs. Most standard pre-programmed and user definable testing protocols are offered, accommodating many different treadmills and bicycle ergometers. State of the art Digital Radio Frequency technology, immune to environmental interference, transmits to USBplug-in receiver on PC. Detachable 10 lead wires conform to AAMI (AHA) or IEC color codes. Every single lead can be replaced independently. Snap or banana types. Trigger for Echo stress, Blood pressure device etc. 12-lead simultaneous recording, display and printout on plain paper. Filters in real time and offline: 50/60 Hz, EMG (35Hz), Baseline. Simple interface to patient information systems. Send E-Mail or FAX directly from ECG screen. Time base: 12.5, 25, 50, 100 mm/sec. Vertical: 5, 10, 20, 40 mm/mv. The S2 software maintains absolute test accuracy by allowing the user to scroll back data during the live test, view the ECG in high resolution and have access to the full disclosure of the entire study. Additionally, the software gives the option for the test to be automatically interpreted enabling for true and reliable diagnosis. Users are able to not just use a variety of stress protocols but can even program their own test protocols into the software, whilst also been able to fully configure live test data and reports to allow for specific parameters to be monitored and viewed, ultimately giving the user complete control for their ECG needs.